Today, at the dawn of the Internet of Things, devices discover, connect and communicate with other devices. Domestic appliances discover one another, connect and communicate daily. Fridges talk to smartphones and order groceries when needed. Driverless cars will soon communicate to avoid collisions and report traffic; and this is only the beginning. Devices will keep discovering, connecting and communicating. Soon, they will smartly collaborate amongst themselves and with the central cloud to pool resources and in the process, will change how we live and work. Yet, connecting and empowering devices is contributing to the skyrocketing growth of Internet traffic hitting data centres and thus posing a challenge to central cloud computing. 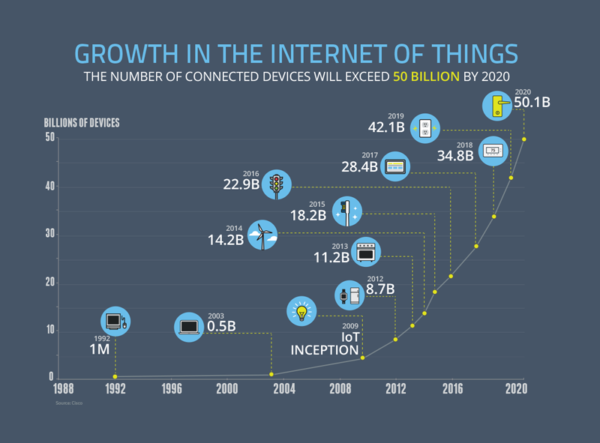 What happens to the central cloud when billions of devices are connected through the Internet of Things? Too many devices will generate too much data for central cloud to operate efficiently.Thankfully, we can take advantage of the ever-increasing computing capabilities of edge devices and offload as much of the central cloud functions as possible to the edge. Edge cloud to central cloud is like WiFi to wireless. 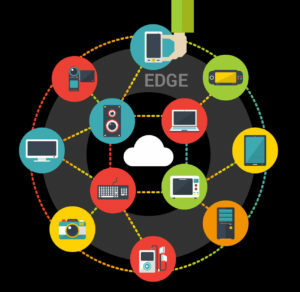 Just as WiFi carries most of the global wireless traffic today, edge devices will soon manage most of cloud computing. As Andreessen Horowitz general partner, Peter Levine, puts it: “A large portion of computation that gets done in the cloud today will return to the edge”. Centralized cloud computing will gradually evolve to distributed edge computing. Edge nodes (all our computing devices) will not be fully dependent on central cloud since most of the time they can process data independently and communicate directly, sharing resources and collaborating. The opportunity is immense as there are billions of potential edge servers today and there will be tens of billions more tomorrow. In a nutshell, edge computing means that any device can become a mini cloud server. Therefore, data is processed at the periphery of the network, as close to the originating source as possible, pushing the frontier of computing applications, data, and services away from centralized nodes. This approach is faster, more efficient, and scalable: data can be immediately analysed and put into action overcoming the current shortage of bandwidth and speed on the network to cope with such a vast array of connected devices. How will edge computing redefine our lives? In the last decade, cloud computing has been a great source of disruption in various industry sectors. The natural evolution of the cloud is to extend computing to the edge to cope with the explosive growth in the number. Edge cloud computing is essential to meet stringent requirements on latency and at the same time reduce power consumption and infrastructure costs. Edge cloud will impact greatly our daily lives in our homes. Edge computing can turn set-top boxes (STBs), game consoles, smart TVs, routers, PCs, or even mobile devices into cloud servers. The benefits are enormous: more control on managing personal data by the end users, better cross device and cross-screen media sharing than Airplay or Chromecast, developers ability to deploy and launch services such as smart home quickly and reliably, and the potential to cluster edge devices to share resources and create a virtual cloud that is orders of magnitude larger than the likes of Amazon Web Services (AWS). Self-driving cars are another example where edge computing is indispensable. These cars generate about a GByte of data every second. It is not feasible to send all this data back to the central cloud. Moreover, self-driving cars need to make decisions quickly and hence latency is an issue. Edge computing transforms the cars to data centers on wheels where most of the processing is performed locally. Cars can communicate peer-to-peer; reducing bandwidth consumption and latency. Furthermore, mobile devices inside a car can form edge clusters and communicate directly. Drivers and passengers can simultaneously connect their devices to the cars’ infotainment and diagnostic units. Another example are fitness centres which can take advantage of edge computing to enhance their members’ experience. By turning the fitness equipment into edge devices, they can connect the equipment with the users’ mobile devices and wearables to monitor the users’ fitness progress and engage with them at the right time. Instructors can observe members’ progress real-time and improve their training; for example, offering more personalized exercise, nutrition and dietary programs based on the collected data. There are many more potential use cases (Look here): connecting electronic gadgets and appliances directly, enabling new features in social media applications, connecting drones, turning devices such as mobile phones to sensor hubs used in agriculture and mining to collect and process data, etc. Edge cloud computing will soon disrupt every business across all industries, redefining our digital lives. In a world where billions of devices are generating data every second, mimik’s platform gives developers the opportunity to turn any computing device into an edge cloud server and as result offer many new experiences and applications for both consumer and enterprise markets. Our disruptive technology solves seamlessly many challenges of turning computing devices into clusters of edge servers regardless of type, operating system and location. Thus, it enables edge computing and unleashes the collective power of edge devices. mimik’s solution allows cluster management and node bootstrapping to deal with the need to support a huge number of devices. This will reduce the signalling and bearer bandwidth to an acceptable level. Smart routing of traffic and distributed local communications reduces the burden of explosive amounts of data generated at the edge. Peer-to-peer connectivity and micro service discovery optimises inter-node access time and communication to address the stringent latency requirements in the future. mimik arms developers with the tools required to unleash the power of edge devices and help democratize the internet and provide us Digital Freedom.